Wellness for the World: High Cholesterol??? Time and time again, clients walk into my office with a main concern of high cholesterol. I understand this because most conventional medical doctors put the fear of death into patients that have high cholesterol. When our clients visit Depke Wellness with cholesterol issues, we use their lipid panel to understand function of their body and their current state of healing crisis. It is important to understand the cholesterol is produced in your body based on a need. While cholesterol plays many essential roles in your body, I have a top three that I always refer to. Cholesterol is an essential precursor to hormone production. When your body is under physical, mental/emotional and/or chemical stress, hormone production is high, thus cholesterol generally rises. 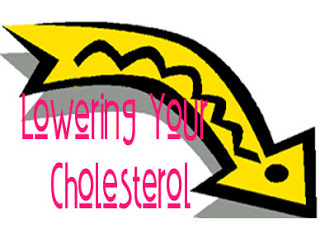 Cholesterol is a major component of the cell membrane of EVERY cell in your body. As your body is turning over new cells, cholesterol is essential. Cholesterol is a part of every myelin sheath in your nervous system. Your autonomic nervous system is the master regulator of your body and obviously extremely important. Understand that when your cholesterol is high, your body has predetermined a need for more cholesterol to assist in your healing crisis. In the opinion of Depke Wellness, the cholesterol is not the issue, the issue is the underlying challenges that require the healing crisis. Notice that I never mentioned consuming food with cholesterol as an issue. This is simply a cholesterol myth. Here are some common cholesterol myths. Eggs are evil - Dietary cholesterol is not nearly as dangerous as once thought. You will absorb approximately 15% of your dietary cholesterol and your liver will regulate cholesterol production accordingly. Americans have the highest cholesterol - According to statistics presented by WHO in 2005, we are actually in the middle of the road as far as ranking with other countries throughout our world. Likely, we have gone up since 2005 but we are still not the highest. Kids can't have high cholesterol - Most feel that high cholesterol is a middle age issue but these days, kids as young as 8 years old are having imbalances in their lipid profiles. Remember though, the problem is still not the cholesterol. Cholesterol is a bad thing - As addressed above, you can understand the cholesterol is actually essential to your health and well-being. Low cholesterol is a sign of good health - Forget this one, just as many people die of heart attacks with cholesterol below 200 as over 200. High LDL means you are heading for a heart attack - Nearly 75% of those hospitalized for a heart attack actually fall within the recommended ranges for LDL. All LDL is created equal - The particle size of your LDL is actually what you want to look at. Larger LDL particles do little or no harm, while the little oxidized particles causing inflammation are a huge issue. I could go on with cholesterol myths but I trust that you get the picture. So what are you truly looking at for the best reference based on your conventional lipid profile testing? Number one, look at your HDL level and ration of HDL and LDL. I am not concerned about your total cholesterol. I am first looking at your HDL, which I am recommending to be at 55 or above. Once you have this number, your LDL should not be more than double your HDL. I have had clients that have had significant high HDL, such as 95 and a LDL of 175. Add these together with also adding in the VLDL, this person may have a cholesterol level of 295 and I would be telling them this this is optimal. There is one more factor to pull into this and that is the ration of HDL to triglycerides. I would suggest dividing your triglyceride total by your HDL total. If your triglycerides are 95 and your HDL is 55, your ration is 1.73. If your triglycerides are 187 and your HDL is 40, your ration is 4.68. Ultimately, you would like this ratio to be 2 or less. Once again though, if the ratio is high, you want to address the underlying health challenges, not the cholesterol or triglycerides specifically. Once you balance your body physically, mentally, emotionally, chemically and vibrationally, these levels typically take care of themselves. Also as mentioned above, if you can actually complete a particle test for cholesterol, you are looking at the small particles as the issue and not the larger particles. One of the biggest challenges with conventional thought is the fact that cholesterol is looked at as the bad guy when this truly does not fix the problem. An even bigger challenge is the most people are put on cholesterol lowering medications without truly addressing the underlying problems. This isn't even taking into account the sometimes horrific side effects produced by these meds. I have seen clients on the meds that suffer with severe muscle aches and pains that are unbearable as well as clients find that their liver enzymes shoot up while on these meds. Another issue is that the cholesterol lowering meds also affect the production of CoQ10 in your liver. CoQ10 is a coenzyme that plays a huge role in cellular energy. The CoQ10 is actually essential for the mitochondria of each cell, which is the engine that drives every cell in your body. These are especially important for your muscles and your heart. Funny that the medication that you may be taking to help you from having cardiovascular issues can deplete something that is essential for your heart muscle. If you have any comments or questions, please leave these below for us to address personally. Is Iodine Deficiency an Issue?